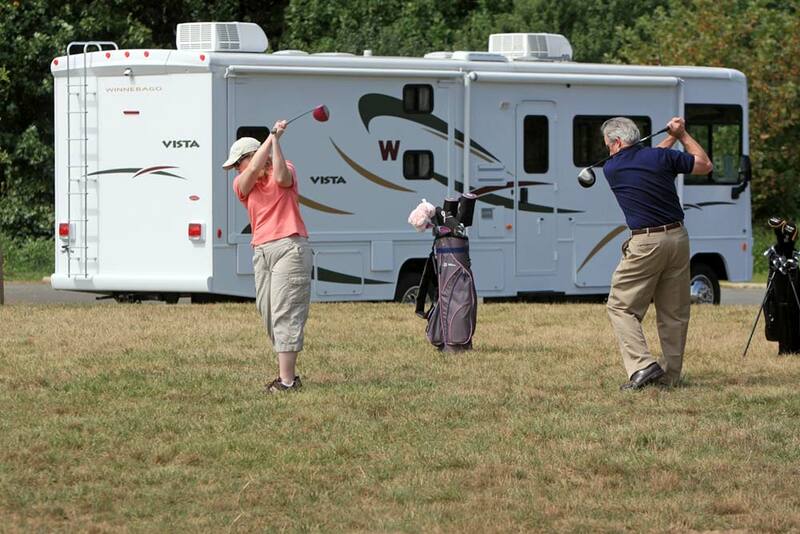 Experienced snowbirds know how much preparation there is before you hop in your RV to head south for the winter. Planning ahead and having a checklist can help you avoid all sorts of problems in the months to come. Here’s our suggested checklist of items you will want to take care of. If you are new to the snowbird lifestyle and will be going away for the first time this winter, this checklist will be particularly helpful. Preparing your RV & tow car: Make sure your RV and your tow car or any other vehicles have been serviced, have up-to-date licenses that won’t expire before you return, and are ready for the trip south. Check your insurance to make sure you are covered for travelling to the U.S. (and beyond if you’re heading further south) and any time limits that may apply to your coverage for being out of Canada. Travel insurance: It is critical for every Canadian snowbird to get travel medical insurance. Accidents and illness can occur and the consequences of not having sufficient travel insurance can be catastrophic. Make sure you find travel insurance that fits your specific needs and travel plans. There are many companies offering travel insurance for snowbirds and it pays to have a broker search for you or do your own research to find the best deal and the right policy for you. Know the rules: Make sure you know what foods and liquids you can bring across the border into the United States. You may get searched, so it’s important to know the U.S. Customs rules and abide by them to avoid trouble. Many people avoid this issue by going grocery shopping for food, beer and wine once they have crossed the border. Medication: Order enough of the prescription medication you need for the duration of your stay outside Canada. Make sure all of your medication is clearly identified with its original labels and keep your receipts to ensure you don’t run into trouble at the border. Travel Documents: Make sure your passport and/or Nexus card doesn’t expire until well after you return. While the U.S. has waived the “valid for 6 months after you return rule” many other countries require this, so if you are travelling into Mexico or beyond, be sure to check their requirements. Insurance Policy & Emergency Contact Card: Bring a copy of your travel medical insurance policy and the emergency contact card your insurer provides you with for everyone travelling with you. Power of Attorney: it is always a good idea to have a Power of Attorney in place in case anything should happen while you are away that prevents you from dealing with your affairs. Pet Preparation: If you plan on taking your pet with you, make sure they have all the right documentation to travel. Check out our snowbird guide on traveling to the U.S. with pets. Handicap Parking Permits: If you have a Canadian issued handicap parking permit, some U.S. states will honour it, but only if it’s still valid in Canada. If it’s going to expire while you’re away, be sure to renew it. Customs Forms: If you’re driving down with personal belongings, fill out a U.S. Customs and Border Protection (CBP) Form 3299 – Declaration for Free Entry of Unaccompanied Articles that accurately lists all of the personal items you are bringing with you, as well as Canada Border Services Agency (CBSA) Form E-15: Certificate of Destruction/Exportation to avoid paying duty and taxes on your personal items when you return to Canada. Home Insurance: Check your home insurance for requirements when you are away from your home. Most policies require frequent inspections by someone while you are away. Inspections: Arrange for a service, friend, family member or neighbour to inspect your home regularly while you’re away to meet insurance requirements, check for frozen pipes, ensure snow & ice clearance, etc. Newspapers: Suspend your subscription starting on the date you intend to leave or arrange for digital access while you are away. Service Suspension: Make arrangements to suspend services like your land line, cable and internet to save money. Condos: If you live in a condo, see if you can shut off water into your unit – or make sure someone is checking your unit according to your insurance requirements. Often the superintendent or concierge can perform these duties in their spare time for a fee. Plan your route ahead of time. You will want to have enough U.S. cash for the journey and any unexpected emergencies, such as speeding tickets that must be paid in cash. Make sure your passport and NEXUS cards are handy for crossing the border and not packed. Be sure to declare any food that you are taking across the border. Banned foods will be confiscated. Pack light! Most of us take lots of clothes we never use and you will have laundry facilities where you’re going. Remember that it can be cold some of the time, so take a light jacket and sweaters. Pack blankets, duvets or comforters. SnowbirdAdvisor.ca is Canada’s one stop resource for snowbird tips, tools, offers, services and more. Canadian snowbirds can sign up for a free membership here.